Cats can work out mathematically the exact place to sit that will cause the most inconvenience. This is Sparky. When we first moved up, she refused to leave the house. It took her 6 months. She loves the outdoors but, this outdoors was very different from where she grew up. Slowly and incrementally over time, she ventured further and further outside. I think it took her a year to leave the porch. 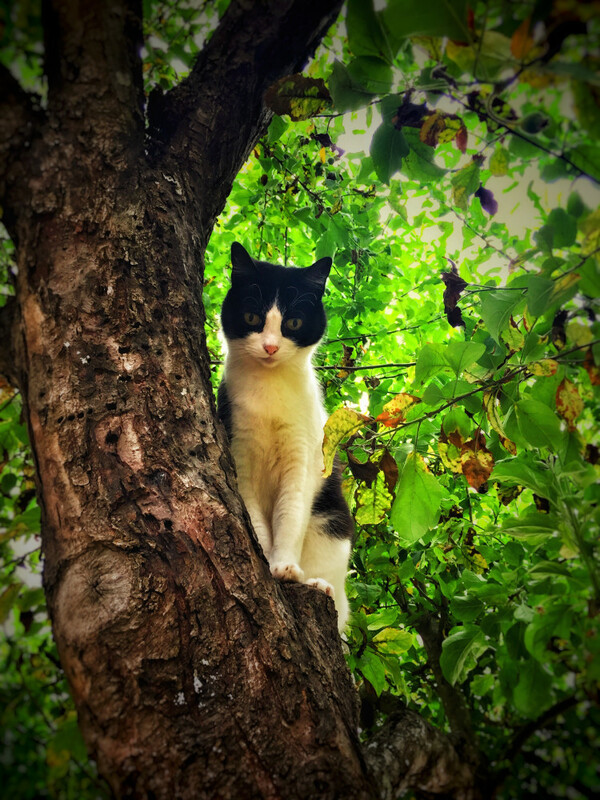 Finally, the other day, she climbed the apple tree and found the perfect perch and started posing.